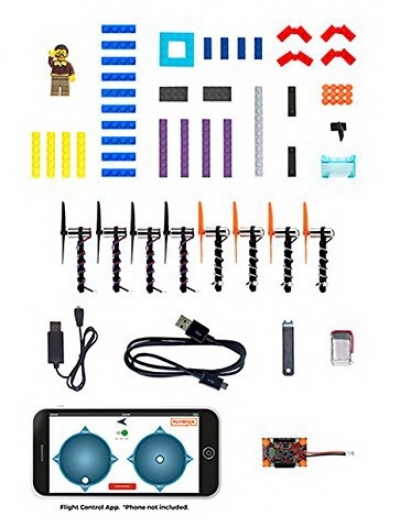 You can build your own small working drone out of LEGO bricks, with the The Flybrix LEGO Basic Drone Set. 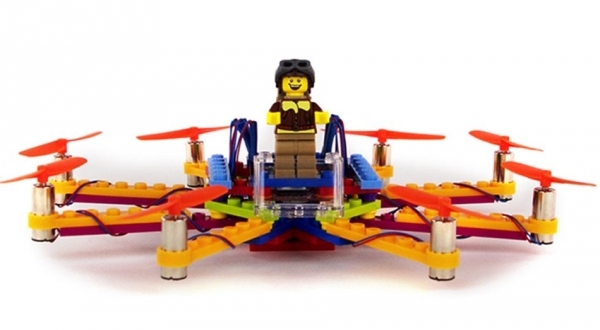 Launch your LEGO creativity skyward! 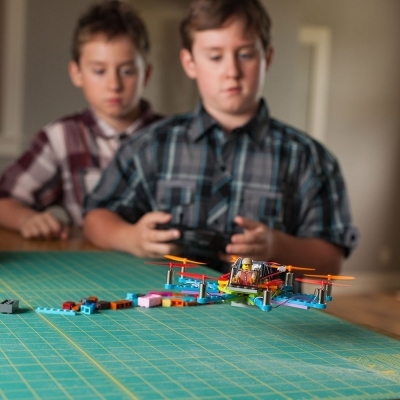 Complete with LEGO bricks, eight motors, propellers, detailed design plans, and a downloadable app that connects via Bluetooth, this highly versatile construction kit turns drone flying into an intense experience in creative engineering. Everything's set up so you can start flying within fifteen minutes after opening the box ? But, that's only a taste. There's so much more to explore! The tough, crashable design lets you easily and safely experiment with endless configurations and ideas. 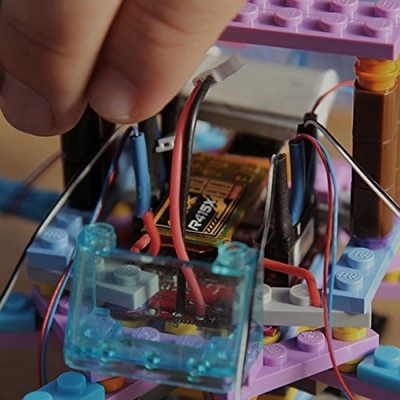 Try building with four motors, six motors, or eight motors. Add on fun accessories and features, discover different ways of creating perfect balance.